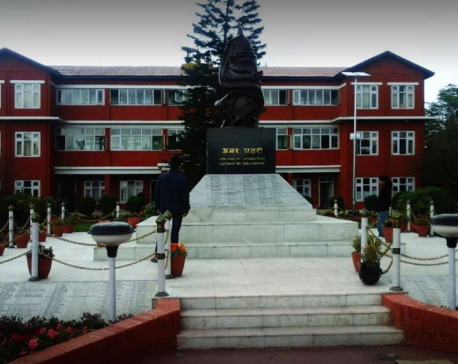 JUMLA, July 22: Bishnu Upadhyay of Chandannath Municipality-9 of Jumla district has been admitted to the Karnali Academy of Health Sciences (KAHS) for the past few days due to chest-related problems. But he is in a hurry to get well and return home as soon as possible. 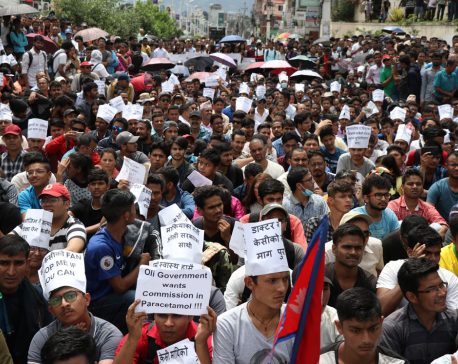 He is in rush because he witnessed the state oppression while evicting Dr Govinda KC from the hospital. He was lying on the hospital bed on Thursday when he suddenly heard loud sounds. Then there came the sounds of those wailing in pain. He thought someone had been shot. Despite being a critical patient, he could not ease and rest properly as he was frightened. Upadhyay then disconnected his oxygen pipe and hid himself under his bed. He was one of the witnesses of police brutality on the supporters of Dr KC. “A sick person like me had to go through such a stressful experience. I think it worsened my illness,” he said. Both the father and daughter want to get out of the hospital as soon as possible due to the trauma caused by witnessing the police brutality. Likewise, Bindu Shahi of Chandannath-9, who is at KAHS to treat her two-month-old daughter, is also left traumatized by the incident. “On Thursday afternoon, I was looking after my sick child when suddenly big noises started. I ran outside to see what had happened. I couldn’t believe how brutal the police were on KC’s supporters,” she shared. She then recalls rushing back to the ward, carrying her two-month old daughter and hiding under the bed. “Nurses then requested the police that they can shoot the staff if they leave the patients alone. The experience and tension was horrifying,” she recalled. Like them, many patients in the hospital who witnessed the incident expressed their wish to get out of the hospital at the earliest. Some of them shared that they nearly jumped out of the window to escape the potential police brutalities on them. They were frightful throughout Friday and even Saturday.